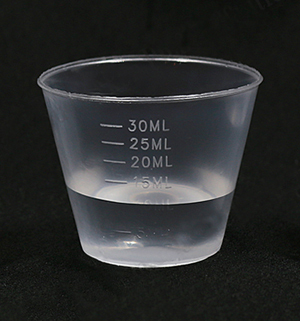 Our disposable polyethylene mixing cups are graduated in ounces, milliliters and cubic centimeters. The cups are translucent and have a total capacity of 30 cc (30 ml, 1 oz). Packed 100 cups per sleeve. A full case contains 50 sleeve or 5,000 cups total.